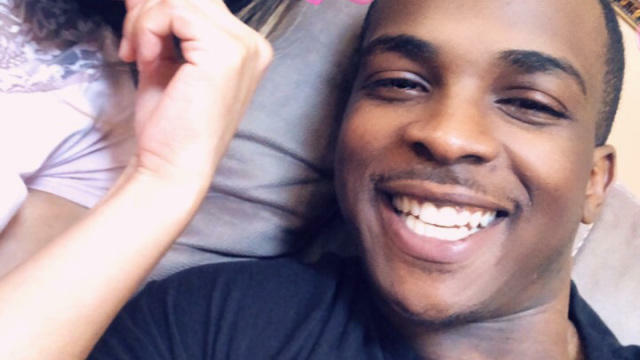 Clark, 22, was standing in his grandmother's back yard holding a cellphone last Wednesday when police fired 20 shots at him, killing him on the spot. The fatal shooting sparked days of protests in Sacramento, followed by a candlelight vigil Sunday. Attorney General Xavier Becerra, Mayor Darrell Steinberg, Chief of Police Daniel Hahn and other Sacramento community leaders spoke to the public at a press conference Tuesday. "Due to the nature of the investigation, the extremely high emotions, anger and hurt in our community," Hahn said, he decided it was best for attorney general to independently investigate the shooting. Becerra said his department will also be conducting an independent review of police use-of-force training and protocols. Activists called for justice for Clark at a press conference later Tuesday and decried what they called systematic racism in police encounters. "This young man should not have been murdered," Berry Accius, CEO of Voice of the Youth, said. "It's excessive force that has been used." "Understand that a cell phone should not be a death sentence," Accius said. Steinberg said that the city will not have to wait for the AG's investigation to begin "asking and answering" a set of questions brought by the community in the aftermath of Clark's death. The city council and the police department will also be reviewing protocols. "We can do that and we can do it thoroughly without prejudging the investigation," said Steinberg. The Sacramento city council is expecting a large crowd at a public meeting scheduled for Tuesday evening. Chief Hahn refrained from answering questions about the individual officers due to the number of death threats he says they are receiving. Clark was killed by two Sacramento police officers who were responding to a report of someone breaking car windows in a South Sacramento neighborhood. Police thought Clark was holding a gun, but he was found with only a cellphone. Body camera footage released by the department shows police firing 20 rounds at Clark. The decision of whether to bring criminal charges against the officers involved remains with District Attorney Ann Marie Schubert, although Becerra said his office could bring charges as well. "We fully expect that the Attorney General's Office will do a complete and thorough investigation that is fair and impartial - and that extends due process not just to those being investigated, but equally to the family of Stephon Clark," family attorney Benjamin Crump said in a statement. Hahn and a number of community leaders called for calm and peaceful protest as the city moves forward. On different occasions, protesters have taken over downtown Sacramento and the South Sacramento neighborhood where Clark was killed. At one point, protesters shut down the interstate during rush hour and blocked the entrance to a Sacramento Kings basketball game. The protests have largely remained non-violent although tensions have been high. In one case, several protesters smashed a car window, according to the Sacramento Bee. Steinberg urged the city to set a positive national example. Tanya Faison, the head of the local Black Lives Matter chapter, said the community is "traumatized." She said her group would be protesting at the district attorney's office for the next few days. Tuesday afternoon, she called for an independent civilian investigation in order to bring about change. "The AG is investigating is not enough, the community is the one that needs to lead the investigation," Faison said.